Saifi Village is a very original urban concept that claims a differentiating edge: It is one of the only residential neighborhoods in the capital to associate modern living to heritage buildings on such a large and carefully planned scale. Heritage buildings have been refurbished to provide modern, comfortable interiors, while they retain their traditional architectural look. The village offers a highly secured residential space with security agents prowling the streets and guarding building entrances, which gives Saifi Village the feel of a semi-private compound in the heart of the capital. The urban landscape is well groomed, with paved roads, picturesque narrow streets, well-marked parking spaces, private gardens and squares, and the full array of street furniture. If the heart of Saifi Village is pleasant, living on the borders of the neighborhood is less attractive. Enclosed by wide traffic axes on all of its four sides, peripheral buildings are very noisy. Still, selling prices have more than tripled during the past 14 years. Between 2000 and 2001, prices varied between USD 1,650-2,500 per SQM, say an average of about USD 2,100 per SQM. In 2014, starting prices stand at between USD 6,000-6,500 per SQM on the first floor. Since 2004, the retail structure of Saifi Village has been focused on the arts, with the Art Gallery and several exhibition halls, antique stores, and avant-garde design boutiques. 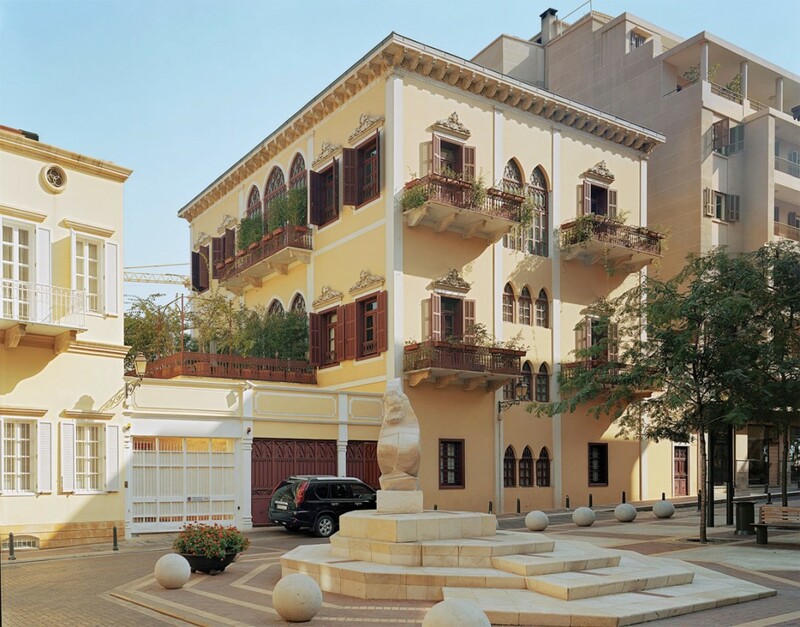 It proved to be a winning strategy, as Saifi Village monopolized the creative scene of Beirut for several years. Unfortunately, during the past several years, the gloomy economic mood has spilled into the world of the arts. More and more boutiques have been closing shop and there are no new tenants to reclaim the vacated spaces. Whether on the inner streets of Saifi Village with limited local visibility, or along its highly visibile outer buildings, many retail units are empty. On the western façade of Saifi Village along Damascus Road, more than half of the boutiques in one building are currently empty. District//S, lying just across the street North of Saifi Village, is an extension, a replica of the concept: A residential compound made up of a collection of low- and mid-rise buildings, connected by a network of narrow passages and public squares, the private development offers apartments on the upper floors and retail units on street level in a relatively secluded context that is still open to the outside world. The possible extension of Saifi Village, however, must take place along its existing borders, since the center has been fully developed. The noise pollution along the Ring Road, George Haddad Avenue, and the Debbas Square hamper any prospects for a possible residential development. The current trend veers rather toward office projects. 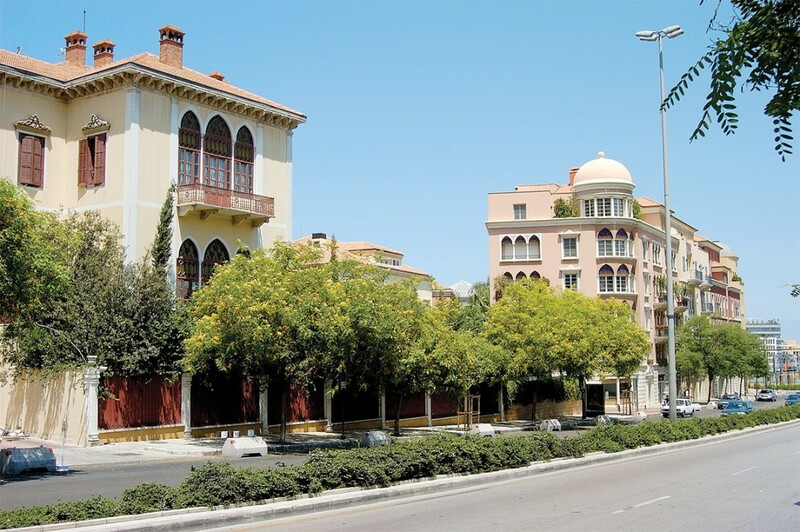 The best illustration of this trend is a project located on the corner of Tabaris and George Haddad Avenue, which was placed on the residential market for several years. Discouraged by the low sales ratios, however, the developers have decided to convert the project from residential to office usage. Another building located on the northern edge of Saifi Village was initially designated as a hospital building. The project was abandoned several years ago and was finally bought by a local bank to be reconverted into offices. Saifi Village thus looks like it has crystallized a residential nucleus, around which a business sector could be developing.